Silas' room is becoming one of my favorites in the house. We have been slowly adding so many elements that I love and its really starting to feel like a completed space. His room has been transforming into a big boy room, which is fun and also a little sad at the same time. But we are enjoying each season. 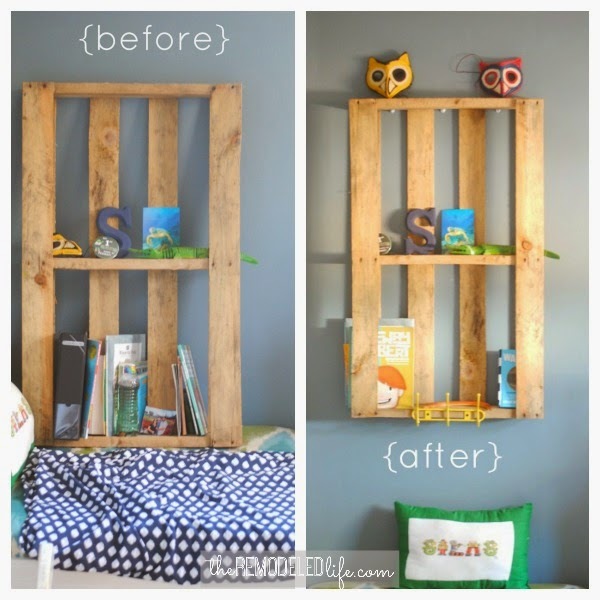 Pallets: you probably love them or can't stand them. I'm on the love portion of that statement (of course). 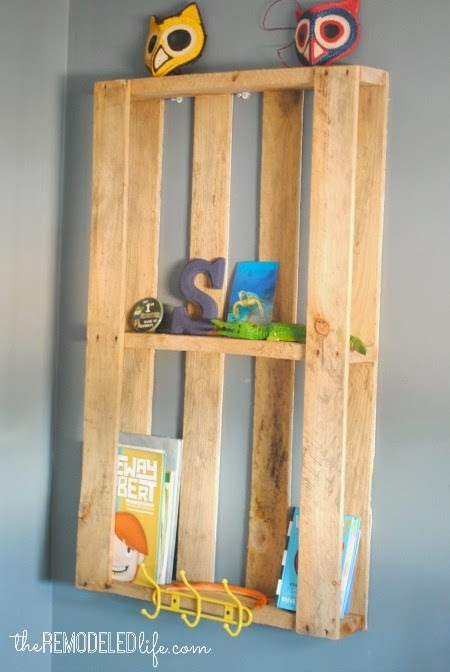 I have been wanting to incorporate a pallet board in some form or another in our house for some time now and this little project ended up being the perfect fit. 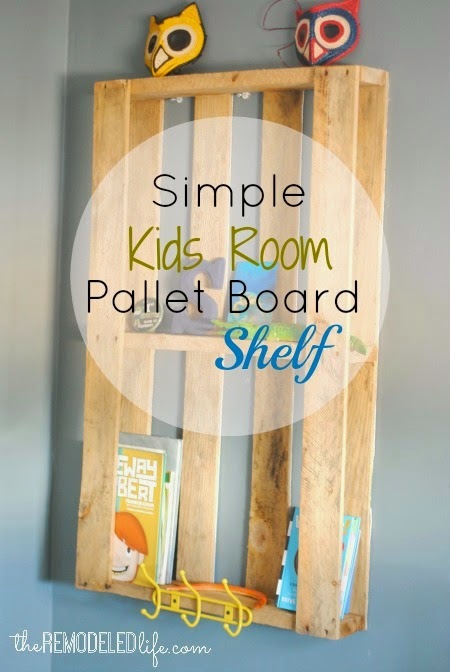 I acquired this little pallet board somewhere, somehow and it made its way into Silas' room to act as a little quasi-shelf. You can see below how its been leaning against his wall for a while and neatly organized with some of his things. It was time to finally make this spot more permanent (and safe) for our little pallet board. So we found a little time on a weekend and put together a quick plan to mount this thing to the wall and make it a functional part of his room. To attach this to the wall I went and found some of the strongest wall anchors I could (pallets are super heavy). Justin measured, drilled and anchored this monster to the wall. Its not going anywhere now. To give it a little more function we also attached a little yellow hook set I found at Target. 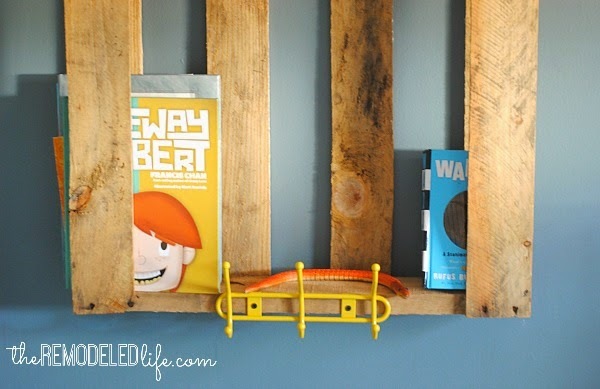 Now Silas has a sweet little place to hang things, display his special little items and store some books. 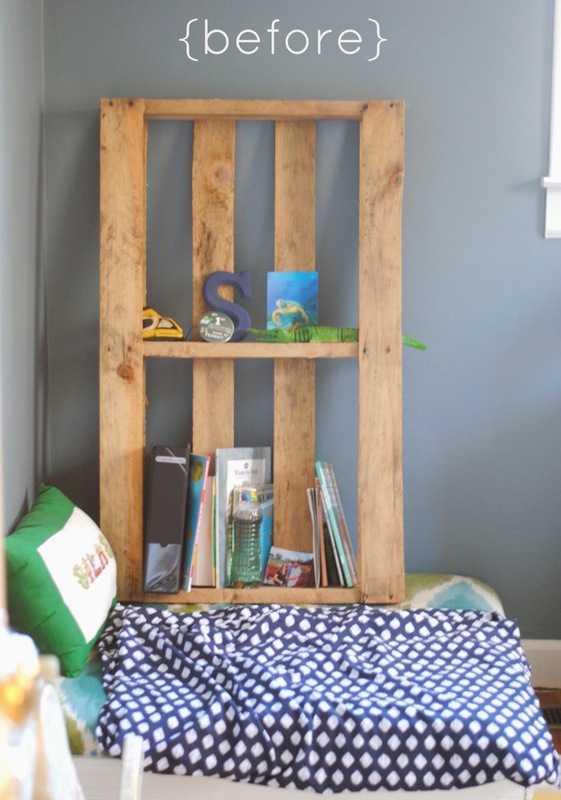 I love pallets because one- they are free and two - they add a little rustic touch to a room. I didn't even bother with cutting or adding anything to the pallet. It was functional just they way it was for me. With it now securely mounted to the wall it feels like it actually belongs here now and its great to check one of those little projects off the list! I have a few more things to accomplish in his room before I can say his room is completed. For example- hang curtains, recover his little "couch" and Paint his bookcase..so we are getting close (sort of). So do any of you have a thing for pallets? 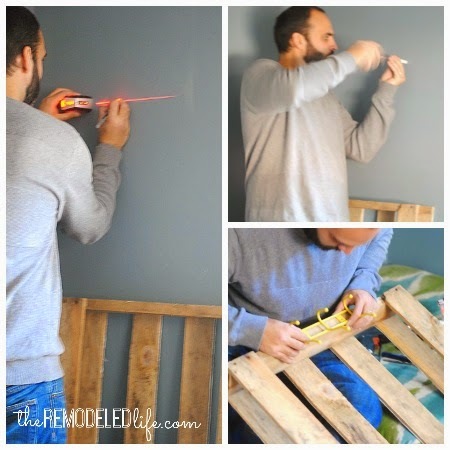 Have any fun projects you have done? Share with me, I'd love to know! Have a wonderful weekend!